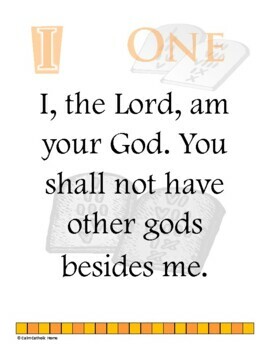 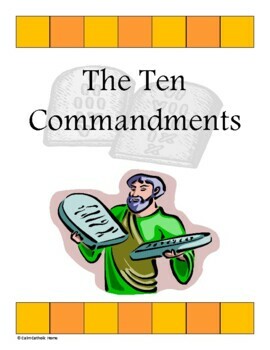 Included in this packet are posters of each of the Ten Commandments, along with a relevant discussion question with writing lines for each commandment. 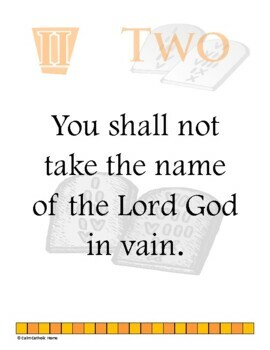 A study guide and quiz form is included as well. 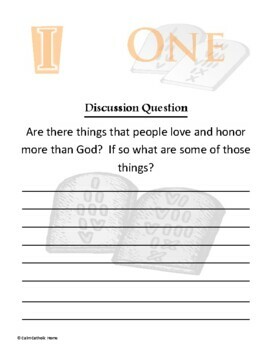 Use as a packet or as separate pages in Religion class and/or for a bulletin board.